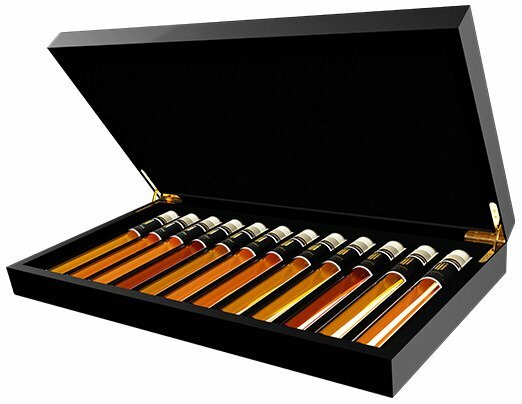 Unique collection of 6 very special Balsamic Vinegars in a beautiful wooden gift box. 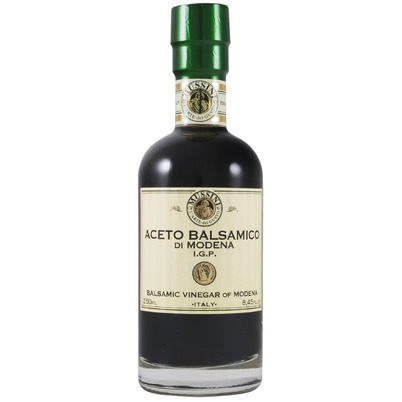 Discover your favorite Balsamic Vinegar and learn to distinguish the differences. Order this Balsamic Vinegar Tasting Collection and a whole new world will open for you! The Mussini family has been making Balsamicico since 1909. They were the first to set up a vinegar factory in Magreta, near Modena. They still work very traditionally and have their Balsamic matured on 7 different types of woods such as oak, walnut, cherry and juniper wood. The grape varieties used are Trebbiano and Lambrusco. The youngest Mussini is 3 years old and is still fresh in its acids compared to the older Balsamicis. Very suitable for salads. 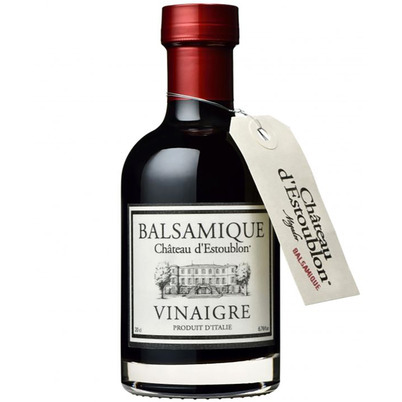 A Balsamico from Provence, made by wine and olive oil house Le Chateau d' Estoublon, founded in 1731. The house is located in the 'Les Baux de Provence Valley' and is famous for its olive oil and wines. 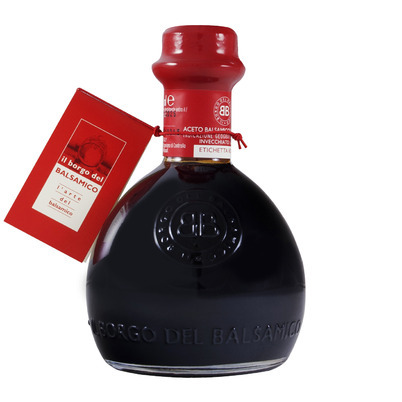 This Balsamic is made especially for them in a traditional way from the Trebbiano Blanco and the Lambrusco grape. The Balsamico has matured on small oak barrels. 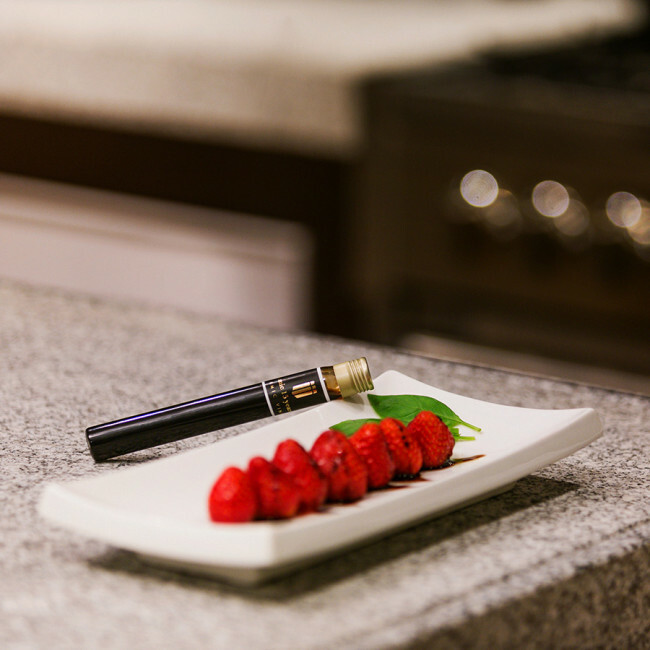 It is a balanced fruity Balsamic with soft wood influences. A young Balsamico, matured for over 2 years and then boiled. This gives you a lot more sweet tones, while the acids are still present. At Il Borgo they make different Balsamicos in various series. They make this Red label especially for dishes such as carpaccio and cheese platters. This Il Borgo Red label is a beautiful addition, especially when it comes to a spicy blue cheese with a piece of fig bread; an ideal Balsamico dessert. 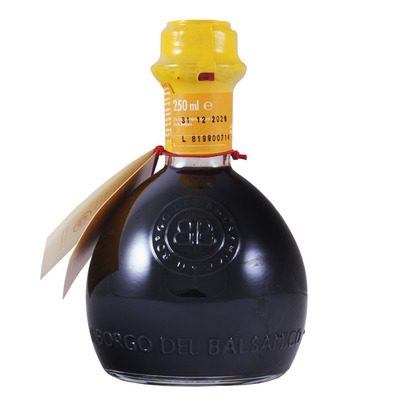 The youngest Balsamico is made by Il Borgo del Balsamico. The Crotti family has a clear philosophy; their Balsamicos all have a certain goal. 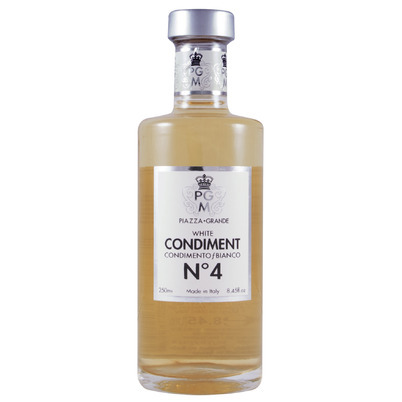 This one for example, for 1 year matured in oak barrels, is intended to marinate a steak or fish. Because of the short maturation, this Balsamico has a sharp acidic edge. Because of this, it can have a lot of influence in a dressing or marinade. Also very suitable as a basis for a vinaigrette. An older Balsamico of the Mussini family, made from the Trebbiano grape. The Balsamico begins its maturation in a large barrel and will change to a smaller barrel every year. This gives it its remarkable intense taste and the balsamic will become sweeter and sweeter. A good Balsamico can be matured for up to 100 years on the smallest barrel used, 15 litres. This 9 year old fits very well with grilled vegetables, such as eggplant and bell peppers.